Provide comfort for the family of Rosa Freeman with a meaningful gesture of sympathy. Healdton - Funeral Services for Mrs. Rosa Ludella (Evans) Freeman, 95 of Healdton are scheduled for 10:00 A.M., Monday, April 1, 2019 at the New Covenant Fellowship Church of Ardmore with Rev. Bobby Freeman officiating with Rev. Jim Duck and Rev. Bill Freeman assisting. Interment will follow to Mount Olive Cemetery. Services are under the care and direction of Alexander Gray Funeral Home in Wilson. Rosa was born on August 9, 1923 in Atlee, OK to the late Mr. Calvin Addison "Charley" Evans and Mrs. Tiny Bell (Horn) Evans. 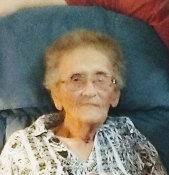 She departed from this life on Thursday, March 28, 2019 at her home in Healdton. Rosa was raised in the Ringling area most of her life attending school at Atlee and Ringling. She married Mr. Guy Claude Freeman on October 7, 1940 in Ringling. They both moved to California to work on the Peach Orchids. Eventually they moved back to Healdton making their home there. They were blessed with 4 children, Pat, Claude, Linda and Randy. Rosa enjoyed to crochet, sewing, looking at hummingbirds, fishing, camping and weedeating. She was a devoted homemaker and was a member of the New Covenant Fellowship Church. Preceding her in death are her parents; husband Guy on June 3, 2005; daughter, Patricia Nell on July 8, 2007; 4 brothers and 5 sisters. Rosa is survived by her daughter, Linda Browning; sons, Claude Freeman and wife Barbara and Randy Freeman and wife Loyce; 9 grandchildren and 20 great grandchildren; numerous of nieces, nephews and a host of other family and friends. Pallbearers will be Charles Freeman, Jason Freeman, Dylan Bonds, Bill Bonds, Phillip Keck and Brian Stanley. Honorary bearers will be Danny Keck, James Keck, Jimmy McCullough, Jacob Freeman, Joshua Thorton and Larry Bruner. A family visitation is scheduled for Sunday evening from 4-6 P.M. at Alexander Gray Funeral Home in Wilson. To send flowers in memory of Rosa Ludella Freeman (Evans), please visit our Heartfelt Sympathies Store. 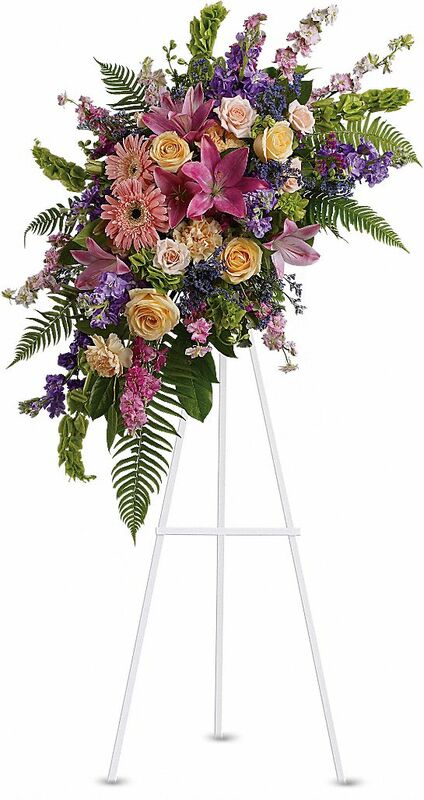 Provide comfort for the family of Rosa Ludella Freeman (Evans) by sending flowers. Jimmy & Earline McCullough and family. Heartfelt Sympathies Store purchased flowers for the family of Rosa Freeman. May the family of Rosa Ludella Freeman please accept my sincere condolences hoping you find comfort in God's words at Acts 24 : 15 and Psalm 37 : 29.